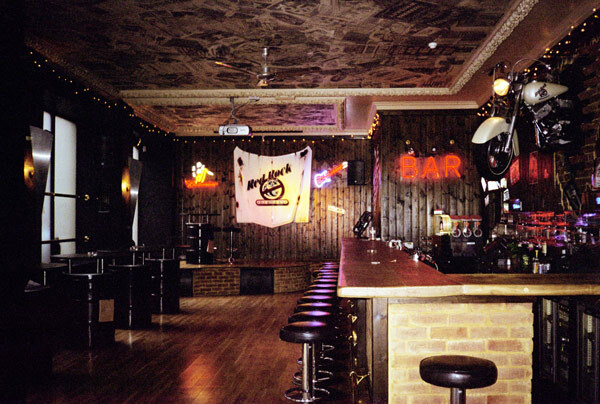 The owners requirements were to create an American style, similar to that of the “Coyote Ugly ‘ Bar in New York. This was a challenge due to the heritage listing of the existing building stipulating no structural changes were permitted by council. 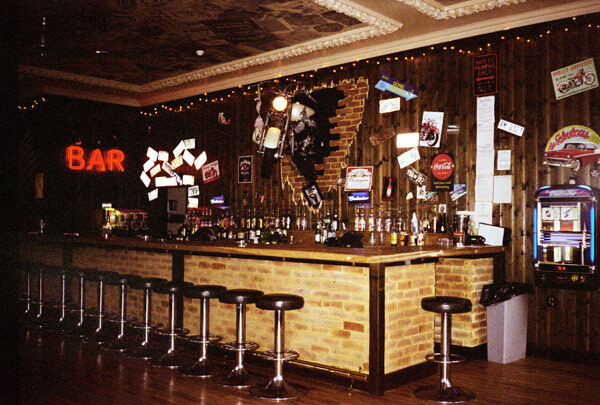 The bar was built around the inclusion of an original Harley Davidson Motor Bike. The Harley was mounted on a wall designed to give the impression that the Harley was smashing its way through the wall. 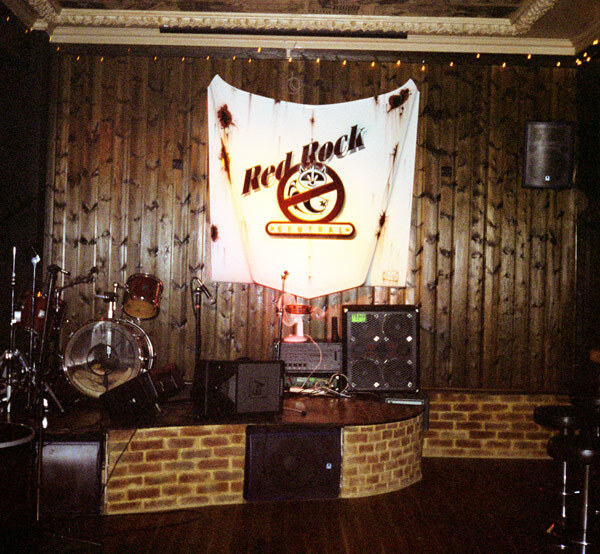 An air brushed Cadillac bonnet was the feature backdrop for the stage where bands were to play. 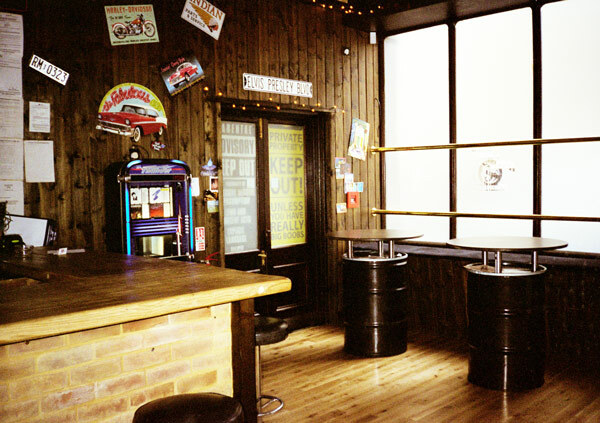 The bar had limited storage space, so we designed and built tables from 44-gallon drums that allowed additional storage that instead of detracting from the looks and feel of the club accentuated the American theme. Removable lids allowing for large capacity storage of alcohol. 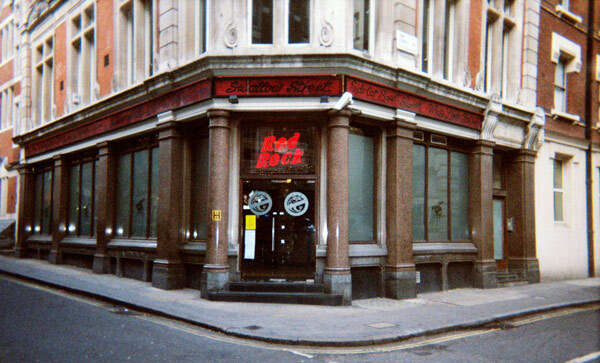 As the club was situated in a popular street level location – it was a requirement by council that all glass be bomb proofed. This was a new policy implemented after 2001, as London became a terrorism target. We created the American feel with plenty of strategically placed memorabilia. Red Rock was completed within specifications and to budget within three weeks. Celebrities started hanging out at Red Rock to get away from the club scene. 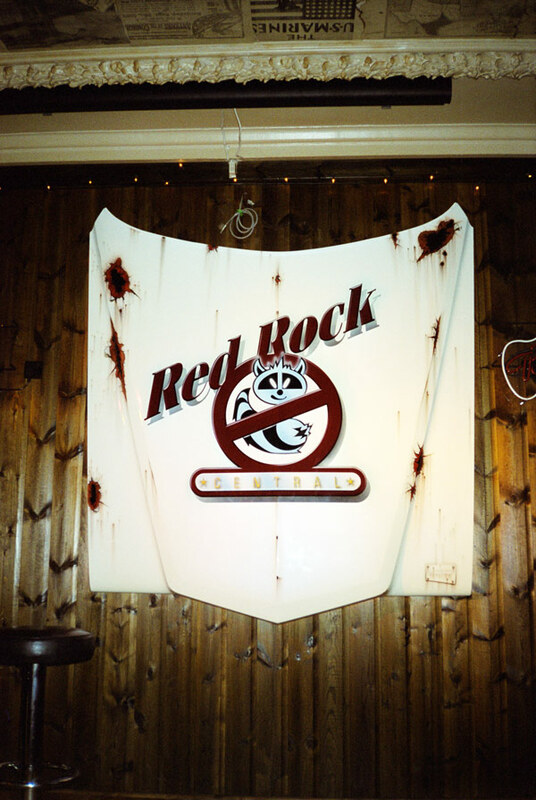 Red Rock Central hosts many parties and contests, from Air Guitar Contests, Arm wrestling and live bands. This project was high profile in London as UKTV wanted to film a six-part Mini Series about our director. “An Aussie Guy travelling the world designing and building Celebrity Hang Outs”.